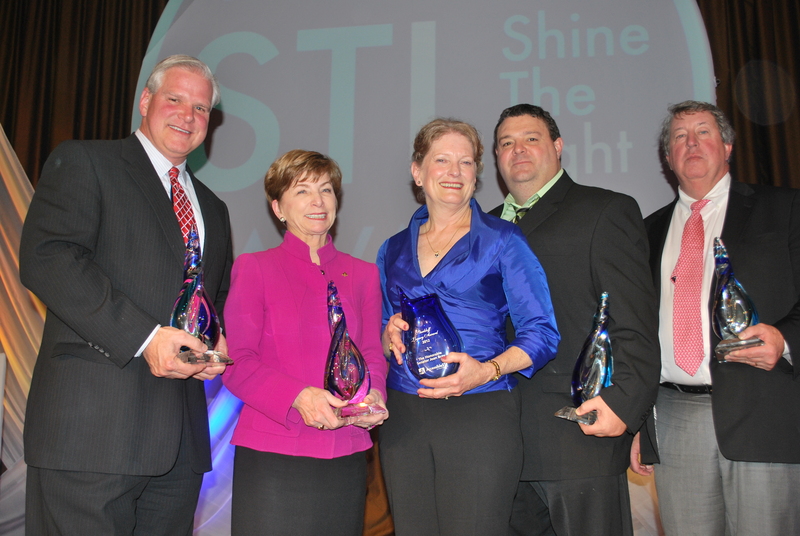 Metro Transit (Bi-State Development Agency) was honored last night at the first AccessibleSTL Shine the Light Awards presented by Paraquad at the Chase Park Plaza. Paraquad recognized Metro, four companies and an individual for leading the way toward a more accessible community for people with disabilities and all who would benefit from increased equality of access and opportunity for people with mobility, hearing, vision, and cognitive disabilities. The master of ceremonies was Marc Cox, former KMOV-TV reporter. Chief Operating Officer of Transit Services at Metro Ray Friem accepted the award on behalf of Metro and its 2,500 employees. “We are honored to be recognized tonight for our part in making St. Louis more accessible for residents and visitors,” said Friem. Ray Friem accepts Accessible STL Award for Metro. The Home Depot, Regions Bank, Schnuck Markets, Inc., and the St. Louis Cardinals also received AccessibleSTL Awards last night. 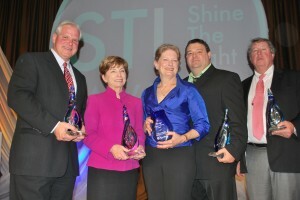 Missouri State Senator Joan Bray received the Starkloff Legacy Award. Earlier this week, Metro celebrated another milestone, the 25th anniversary of Metro Call-A-Ride which is a vital source of transportation for those with mobility needs. Metro is committed to improving the quality of life in the St. Louis region and is proud to help people reach their potential by living free and independent lifestyles. 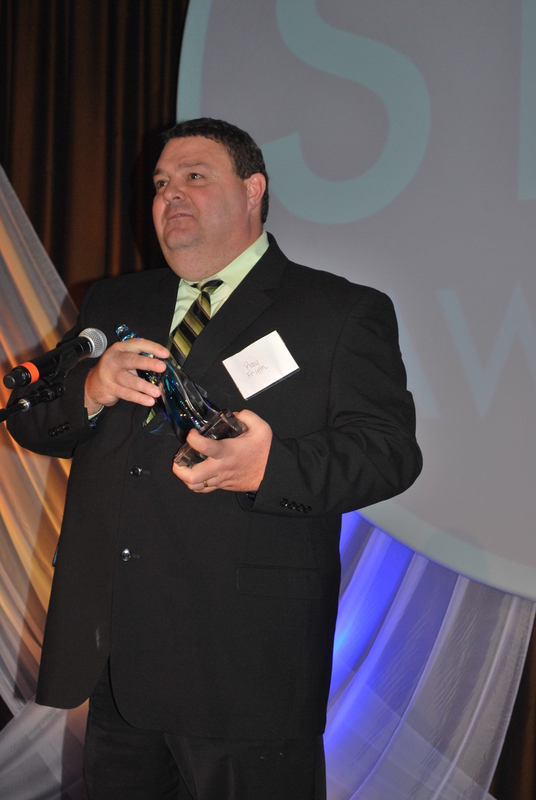 Click here to view more pictures from the AccessibleSTL Awards.